My Thoughts: Wow! Did I learn a lot about European history! The book begins with Victoria's marriage to Albert. As each child is born into the palace, it is interesting to consider the low state of medicine in the early nineteenth century. Child bearing was quite dangerous, even for the Queen of England. They had four sons and five daughters. Their nine children would fill their hearts as well as their castle. Queen Victoria would later arrange each marriage as a strategic political move. These nine descendants can be found in the family trees of monarchs across Europe and Russia. 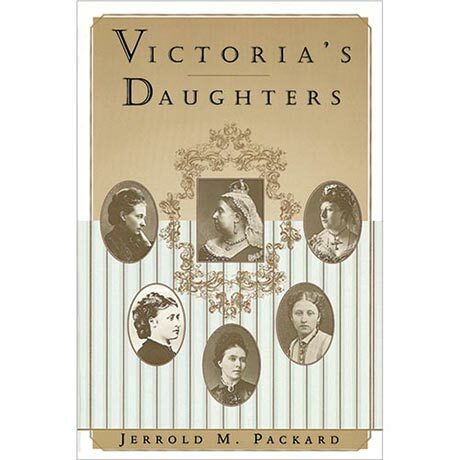 The author references several letters written between the five daughters and their mother. It is absolutely fascinating how the sisters interact not only with the royal family, their new husbands, but with their subjects as well. As the girls have their children, once again, Queen Victoria actively participates in carefully arranged marriages. The influence of Queen Victoria and her direct lineage is astounding. So, if you like books about drama, castles, politics, history, parenting or even war (whew!) this book just might be for you! I loved it! I love history and especially royalty. This sounds like a book I definitely want to check out. Thanks so much for your great post. Nice blog. I love history! This looks like an interesting book. Right now I'm reading "The Covenant"
Wow, history, politics, women and castles. This is a book that I will have to read. Hello. I have this book and I've read it too! It was quite fascinating as I love anything Victorian. And, if I remember correctly, one of her daughters lived well into the 1900's. I highly recommend this book for those who are history addicts! Sounds like a great book! I love reading about history, especially European history. Thanks for sharing with Idea Box link party :) Look foward to what you share next time! This sounds very interesting and right up my alley. I've been interested in Queen Victoria for some years. I read a rather large biography about her a few years ago. I'm sure this would interest me! I'm reading a couple of youth fiction books at the moment along with a couple books for research purposes. One of the latter is called "Marriage and the Family In the Middle Ages". Oh, I love history too! This book sounds wonderful! The cover even drew me in :) So glad you shared this with ROI. Have a lovely week! This looks very interesting … a young lady just submitted an article about Queen Victoria for the magazine I publish so when I saw this post on the ROI linkup it grabbed my attention. Sounds like a book I would definitely be interested in! How fascinating! I'm totally intrigued now and want to read this book desperately! :) Thanks for sharing this at Booknificent Thursday on Mommynificent.com this week! Thanks for the review~~~for me, this is a definite must read as I'm watching "Victoria" on PBS. I've already done some research on the net. Her life and times is very fascinating. That sounds so interesting! Thanks for sharing with us at Love to Learn.